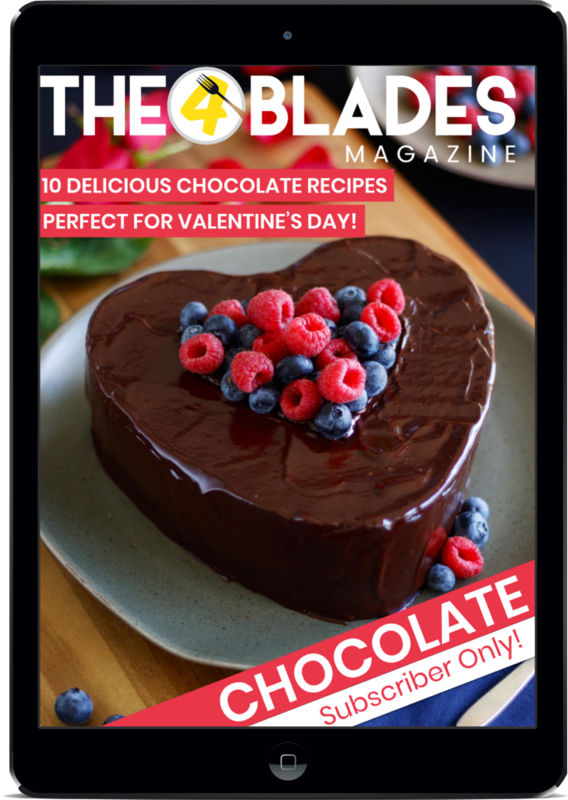 In this special subscriber-only bonus issue we bring you 10 spectacular chocolate recipes in celebration of St Valentine’s Day. You will discover decadently delicious favourites like the Traditional Mud Cake (seen on the front cover) all the way through to healthier options like the Chocolate Strawberry Bliss Balls. With the release of this bonus, subscribers to The 4 Blades Magazine now have access to 11 bonus issues! That’s 150 BONUS Thermomix recipes, just for subscribing! This issue is not available for individual purchase but is free to all subscribers.